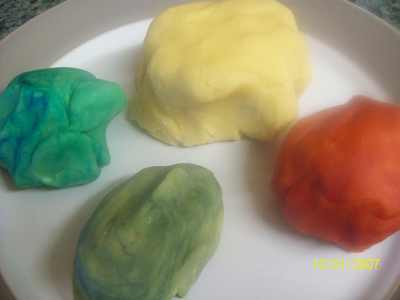 Play dough is really easy to make and can be adapted so many different ways to add texture and smell. 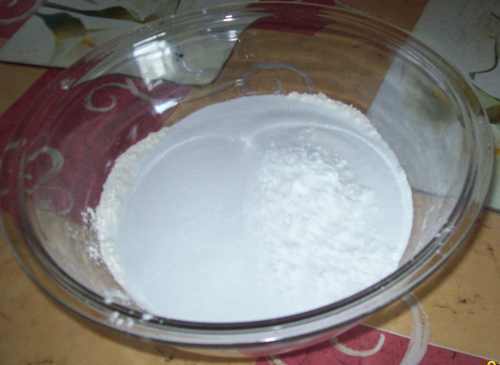 Mix all dry ingredients into a bowl then carefully add boiling water. If I am making one color I halve the mixture and add the coloring at the beginning. 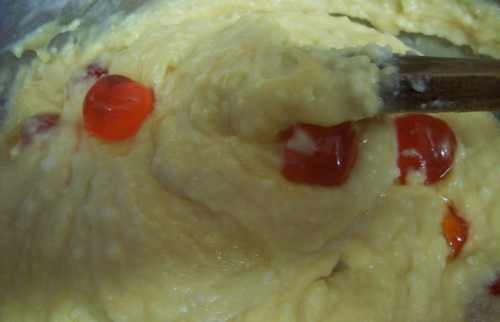 Sometimes I add the mixture to food processor when cooked and add the food coloring, the color disperses much better through the dough if you do this. We keep our play dough in an airtight container in the fridge, it keeps for a good while. I usually change it after a month or so though especially if the children have added bits to it. 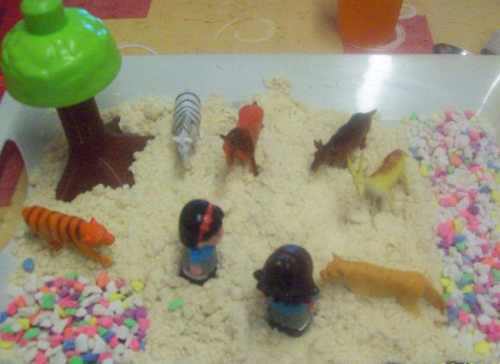 Sand dough is great to make as well and allows for great imaginative play. You simply mix about 3 and a half cupfuls of flour and around one and a half cups of vegetable oil. the mixture should have hold together enough to be moulded to make small sandcastles.